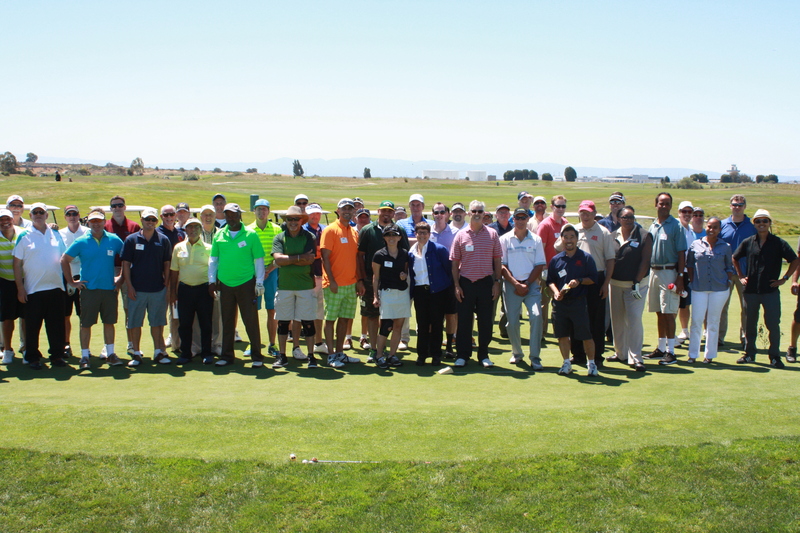 Thank you to all who came out to the Tenth Annual ACBA Barristers Golf Classic! We’ve had 10 great tournaments – and this year was no exception. The sunny skies, beautiful weather and TGIF attitude provided a fun and upbeat day out on the green. The day began with the entertaining Put with a Gavel contest which proved a gavel is best left to the courtroom, not the putting green! Next came a shotgun start for our 12 teams who took off in their golf carts, leaving only a few unsecured golf clubs in their wake. Thank you to VLSC Board Member Élan C. Lambert for promoting Mulligan sales to benefit VLSC, and to all who bought Mulligans, even though we know you don’t need them, they are for a good cause. We raised $800 for VLSC and pro bono legal services! The day wrapped with a delicious banquet that had hungry golfers going back for seconds and thirds and the awards presentation. Our winning team was so dedicated that one team member, Jani Matsui (also the winner of Put with a Gavel), was out on the course with a knee that needs reconstructive surgery. The ACBA Barristers did a great job organizing this event, we’ve had nothing but positive feedback from the event. A special thank you to David Reagan for presenting the awards and keeping the day moving. See you all out on the green next year! For the full set of photos, please see the ACBA Facebook page.